This Event has no scheduled dates at this time. It last occurred on Sunday, September 23, 2018. 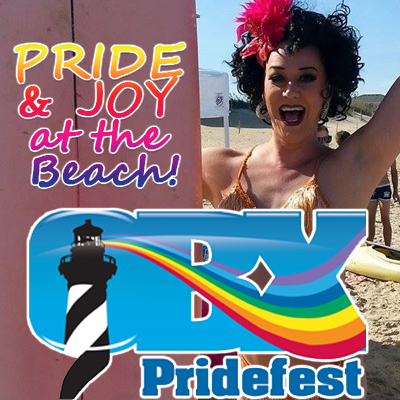 The OBX Pridefest is a 3-day gay pride festival, full of events for all LGBTQ folks and their supporters and friends! In addition to paid events, the main festival Saturday afternoon is FREE and includes bands, local food, merchant vendors, pride souvenirs and nonprofit vendors. *Pride Pass: Purchase a weekend Pride Pass for $100, which provides access to all events and includes the price of the drag brunch and Booze Cruise aboard the Crystal Dawn. Times and cover charges vary for each day and event. Please visit the event website for full schedule and information, and check back often as new information and events may be added.